Measles is on its way to an all time high. In 2000 Measles was eliminated (meaning some travelers from areas with low vaccine penetration might arrive in the US with the disease, but no case came from US), but has been slowly creeping back. Since 2008 this has been more than a trickle. Let’s put the important goal of measles elimination in perspective. Before 1963, meaning before there was a measles vaccination program, 3-4 million Americans a year caught measles, 48,000 were hospitalized, 1,000 developed a chronic disability, and 400 died. Measles is not a benign disease that just causes a “little rash.” Vaccine programs aren’t launched for benign diseases. In 1998 Dr. Wakefield published his now well-discredited piece that erroneously linked autism to the MMR vaccine. This falsified paper was seized upon by the likes of Jenny McCarthy, Dr. Mercola, and Dr. Bob (pediatrician and author of The Vaccine Book). While Ms. McCarthy did get a big piece of the Suzanne Somers microphone owing to her looks, brassy press-friendly sound bites, and Oprah falling hook line and sinker for her “warrior mom” gig, I do wonder how much impact McCarthy herself had on the average parent? She probably made many think and she certainly got way too much press and if all that coverage even gave a sliver of a doubt to vaccine safety it might have made even more wonder. However, the more I talk and tweet and post about health subjects I find that most people don’t make medical decisions based on celebrity opinions. It might cause them to question and lead them to gather more information, but I think it’s unlikely that McCarthy herself is the true vector for the resurgence of measles. Most people would likely turn to a doctor for confirmation of their fears and they found that fomite in Dr. Bob Sears. Dr. “No one had died of measles in the US in over 10 years” Sears published his evidence-baseless Vaccine Book in 2007 and in 2008 is when the number of measles cases bumped big time. About measles Dr. Bob writes, “I also warn not to share their fears with their neighbors, because if too many people avoid the MMR, we’ll likely see the diseases increase significantly.” Prescient, no? It’s not Jenny McCarthy that parents quote, it’s Dr. Bob. It’s his book they clutch when they come into the office, not hers or Wakefield’s. It’s his alternative or selective vaccine schedule they use, not McCarthy’s or Wakefield’s. Just look at the reviews on Amazon, it is adored by those who truly think that Dr. Bob has stumbled upon the truth as opposed to publishing a fear-mongering compilation of medical gibberish (it’s not just autism that parents have to worry about, vaccines could spread mad cow disease too!). The Vaccine Book reveals the author’s inability to understand epidemiologic data, interpret articles correctly, and his complete dismissal of public health as an important goal. It would be dismissed as simply laughable if it weren’t so well read (by 2009 the book had sold over 40,000 copies). I’m not saying Jenny McCarthy is blameless, but a medical doctor should know better. Or care that his words might impact people. Or hopefully both. « Is power morecellation during a hysterectomy really unsafe? Wasn’t it found that the CDC has been covering up data that links vaccinations and autism/ other neurological disorders? Please give the whole story. Not drinking anyone’s kool-aid, Doc. Just a Mom who is tired of hearing conflicting “truths”. There is no conflict. Dr. Wakefield lied in his article and was found guilty of scientific misconduct and that is the only paper to show a connection. Building a case on the word of a known liar is the farthest thing from showing interest in the truth! Wakefield was charged with fraud and child abuse – he had developed his own vaccine in competition with MMR and when MMR was selected over his, he manipulated studies in an attempt to show that his 3 shot vaccine was safer than the 2 shot MMR. Despite what the anti-vax lobby says, Wakefield was actually a pro-vaxer. First of all Doc, using the disparaging term “drinking the kool-Aid” is racist. As an educated person you should know this. That statement sums up the entire Wakefield witch hunt. The entire medical community has been misled by a man, Brian Deer, who began this entire character assassination of Dr. Wakefield at the behest of the British Medical Society because he, Wakefield, had the audacity to suggest that there MAY be a connection between the bowel diseases in children and the MMR. WAKEFIELD NEVER STATED THERE WAS A DEFINITIVE LINK AND NEVER STATED CHILDREN SHOULD NOT BE VACCINATED. What is the fraudulent aspect of this? If you took the time to read the transcripts and the facts instead of reading CDC/Vaccine industry self serving propaganda you’d know the facts. The transcripts of the hearing are online. Well before the programme was broadcast [Mr Deer] had made a complaint to the GMC about the Claimant. His communications were made on 25 February, 12 March and 1 July 2004. In due course, on 27 August of the same year, the GMC sent the Claimant a letter notifying him of the information against him. Deer’s argues, “It would have been irresponsible and perverse for me to decline to produce evidence when requested by a statutory body inquiring into matters impacting on the safety of children.” However, his position was very different from a an objective, disinterested journalist being interviewed by an investigating authority: he was clearly requesting that the doctors be prosecuted by the GMC, making him a hidden key player in the very news story that he was covering. Moreover, it was a mutually beneficial arrangement with the GMC and its lawyers, ensuring that they would continue to get beneficial coverage. – Deer also failed to disclose that there were no complaints against Wakefield by the children’s families, most of whom very strongly support him, and many of whom credit his team with a diagnosis that led to effective treatment of their children’s bowel disease. -In his letter to the BMJ, National Whistleblower Center board member David Lewis, who examined the “Lancet 12” children’s histopathological grading sheets, makes it clear that Wakefield’s co-author, pathologist Amar Dhillon, did indeed diagnose colitis “in a number of children” contrary to Mr. Deer’s statement at your university that none of the children had bowel disease. Mr. Deer’s response does not disprove Dr. Lewis’ claim, but only attempts to smear him – stating that Lewis “has no qualifications in medicine or pathology.” However, editors at Annals of Internal Medicine rated Dr. Lewis in the top 10% of reviewers in 2010. Lewis was considered sufficiently qualified by Nature to have had his analysis of the Wakefield matter reported on by the prestigious international science journal. The National Whistleblower’s Center, which Deer inaccurately portrays as a “front” for an employment firm, is called “an advocacy group” by Nature. Lewis’ accomplishments in medical and environmental research have been covered by Nature, Science, Lancet, JAMA, National Geographic, Time, Newsweek, U.S. News & World Report, Forbes, The New York Times, The Washington Post, The London Times, NPR, PBS, CBS, ABC, and BBC. In that same response, Deer thoroughly misleads the reader about the evidence of the two histopathologists writing to BMJ. Contrary to what Deer implies, both histopathologists supported the Lancet case series findings. What they actually said can be read in the BMJ. -Among the more egregious of his many false statements was Mr. Deer’s claim that Dr. Wakefield “called on parents to boycott the MMR vaccine.” He in fact recommended parents request the single measles, mumps and rubella shots that were available at that time in the UK, rather than the combination shot. “Everything the public think they now know about Wakefield is based on a flawed and political process. The chairman of the GMC panel failed to declare before sitting that he worked for licensing authority, that he had shares in one of the MMR manufacurers, and after the hearing he exposed his further bias by calling in a BMA debate for MMR to made compulsory (all against the Nolan committee for standards in public life recommendations). I mentioned above that the head of GMC panels doubled as the allegedly independent peer reviewer of the Deer 2011 allegations in BMJ (and despite also being a BMJ editor!). This was all entirely inappropriate – apart from anything this was plainly very intimidating for the profession. In attacking Dr. Wakefield did you ever stop to ask how Brian Deer obtained access to the private medical files of children involved in a research study? “It is particularly surprising that a journalist for a lay newspaper under orders to find a big story (Mr Deer’s own words) could persuade a respected teaching hospital to give him such data. Did the request go to the research ethics committee? Did he obtain written consent from the parents? (he did not) Was he not given instructions to destroy all information which could possibly identify individuals as soon as he had extracted what he needed, in which case he should no longer hold names and addresses? Brian Deer is a freelance journalist with NO SCIENTIFIC BACKGROUND yet his articles are from a scientific perspective-how can that be? Brian Deer, despite his lack of scientific background has been catapulted into the golden boy for the Pharmetutical Industry and the BMJ-the corporations that have the most to gain and the most to lose. Despite his lack of credentials he is flown around the world, put up in the best 5 star hotels and gives lecture to the choir on the evils of Dr. Wakefield and the MMR without providing a shred of verifiable evidence. The man has violated journalistic ethics and medical confidentiality and yet you and your ilk defend him as if he is a rock star. Are you really interested in the truth? If you are the above information is a drop in the bucket in regards to this perverse sick witch hunt against a man who did nothing wrong as stated by the British High Court in England. Pharmetutical/government owned media will not report on this because in terms of the vaccine industry-game over. Also, if vaccines work, are safe and effective why do Doctors and the Pharmetutical Industry have blanket immunity from lawsuits if someone is killed or damaged by a vaccine? Thank you for this! As physicians we are scientists and humanists, and as a result, have social and personal responsibility to look at the data with an objective view for the betterment of our patients and society. Jenny McCarthy ….lol. Says vaccines are loaded with toxin yet is injected herself on a regular basis with the most powerful toxin known to man – botulinum (in botox). What a hypocrit! Don’t forget to include Dr. Jay Gordon. He’s also someone who needs to be called out for his anti-vaccine hogwash. Why stop with Dr. Jay and Dr. Bob? For example, Larry Rosen, MD, FAAP has come out as supporting a flexible vaccine schedule. And Lawrence Palevsky, MD, FAAP, another holistic pediatrician, was an ‘expert’ for the anti-vax film The Greater Good. If you go the the “find a vaccine-friendly doctor” page on the askdrsears web site (http://www.donotlink.com/g0N), you get a pretty good list of the pediatricians who I fear don’t understand the importance (or do but are trying to make a fast buck) of vaccinations. Of course, you will also find a lot of chiropractor and naturopaths–who like to call themselves “doctors”, but since most of them aren’t allowed to vaccinate anyway, it’s silly they are on the list. There is, however, a special class of disdain for anti-vaccine pediatricians. To me they don’t belong in the same sentence and are mutually incompatible. Such a controversial topic…and a tough one for parents who are ALL trying to do the best they can with what they know. I can understand how one would like to hang Dr. Sears out to dry. But, as the devil’s advocate, I can also understand how his schedule may prove helpful to those who are already fearful of vaccines…and therefore allow vaccinations on a different schedule. The point is…vaccinate. If a parent chooses to do so on a delayed schedule…go over the risks/benefits and then proceed. 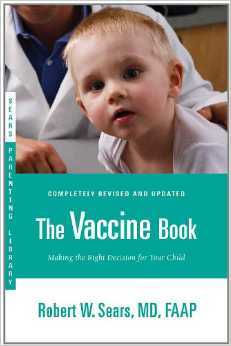 I have never had a parent who cited Sears’ book tell me they decided to vaccinate because of Sears’ book. 100% of those who come to see me have used his execrable book to delay or completely skip vaccination. No, they have a choice because we live in a free country. Agreed. But, I don’t believe there would be much second guessing if these diseases were rampant. Can’t imagine many making the choice not to protect their children in such a situation. Keep telling people the truth, Dr Jen!! My husband is a research scientist and I’ve been hearing comments similar to yours for years. He’s furious that that journal spread the lies of a dirt bag out to make a buck. I want to smack people upside the head when I hear antivaccine nonsense. Some free country when you put the health and lives of others at risk because you’re stoopid. How about the freedom of those people? After my first daughter was born in 2010, I went to a local talk by the younger Dr. Sears in San Diego because I had read his book cover to cover while pregnant. I left incredibly disillusioned by his pandering. At the time, we were experiencing new cases of whooping cough, so a parent asked about the vaccine and he actually said whooping cough is nothing to worry about because your kid wouldn’t die (but of course broken ribs in a baby is worth it, right?) Also, he kept on recommending all these various vitamin concoctions as necessary for well being. I was confused because even in 2010 I had read a bit about vitamins, how much one can absorb, even if they are worth it, especially because he was recommending crazy large amounts. I finally raised my hand and asked him how he would respond to someone who thought vitamins just gave you expensive pee but wouldn’t really protect you from disease. His answer was underwhelming, something to the affect, well of course we pee some of it out. The other moms were treating this guy like a rock star, and I, with no background in medicine or science, could tell his answers smelled of commercialism and pandering to his crowd. Now, 4 years later (and 3 kids later), I have done more research and wish I could go back in time and ask more pointed questions about intellectual and moral responsibility as a pediatrician. Oh and I point out my lack of background not to make myself sound like some sleuth, but rather to show just how obvious his pandering was to the lay person. Haha I LOVE how you called “Dr. Bob” a ‘fomite’ – that was awesome!! Why thank you! I was quite pleased with myself over working it in, though sad it is true! Dr. Bob ranted at me on the Ho-Po when I reminded him that his deliberately unvaccinated 7-year-old patient was the index case, responsible for the 2008 San Diego measles outbreak. I’ve been a thorn in Dr. Jay side, every time he posts on Orac’s blog. The advice he formerly had on his own website was to give MMR vaccine at age 5 before entering school, give chicken pox vaccine at age eight or nine (if the child hasn’t already contracted the disease), and Prevnar vaccine (12 years after it was licensed) was “too new for (him) to recommend”. I shamed him into taking down his “opinions” and in their stead, Dr. Jay linked to references about each of the Recommended Childhood Vaccines, which appeared on whale.to. Those whale.to links have disappeared from Dr. Jay’s website now…but he steadfastly refuses to link to the California Department of Public Health or the CDC vaccines pages for current and accurate information for each childhood vaccine. Dr. Jay *put me on probation on Orac’s blog, then *banned me on Orac’s blog, because I caught him telling porkies about the varicella vaccine which Dr. Jay claimed was availability under a “compassionate use protocol” for children with leukemia and certain cancerous solid turmors. (The varicella vaccine was still undergoing clinical trials in Japan and only VZIG was available in the United States, in very limited doses, for post-exposure prophylaxis for those at extreme risk for contracting the virus). * Being put on probation, then being banned by Dr. Jay, is a badge of honor for me. Reblogged this on statepen.org . measles, which led to encephalitis. She died not long after arriving at the hospital. 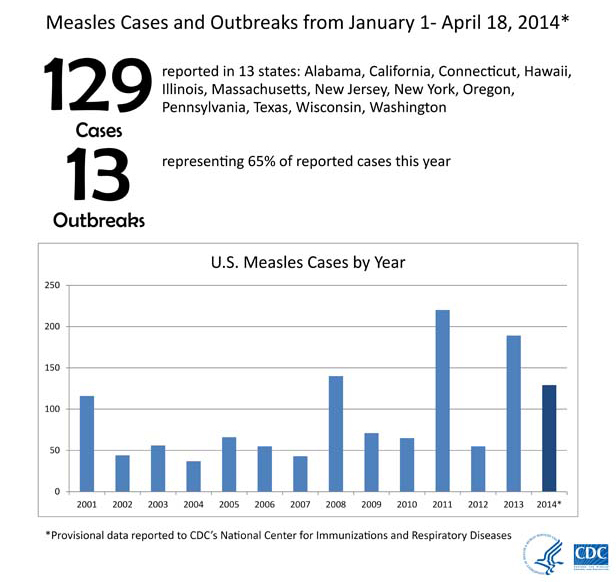 Still think measles is preferable to autism? I don’t. Unfortunately others will believe what they want to believe.